IT’S TIME TO WORK ON YOUR NEW YEAR’S RESOLUTION! If your resolution was to start working out, I might be able to help you! You’re probably debating if you should subscribe to the gym, have a private trainer or do group classes! But having a private trainer can be pretty expensive and the group classes hours may not fit with your schedule! So, you want something that’s more affordable and flexible with your schedule! Because you’re pregnant, you also want to make sure that the exercises you’re doing are safe for your pregnancy. You’ll opt for trainings that are pregnant friendly! This may reduce your options but it’s not impossible! 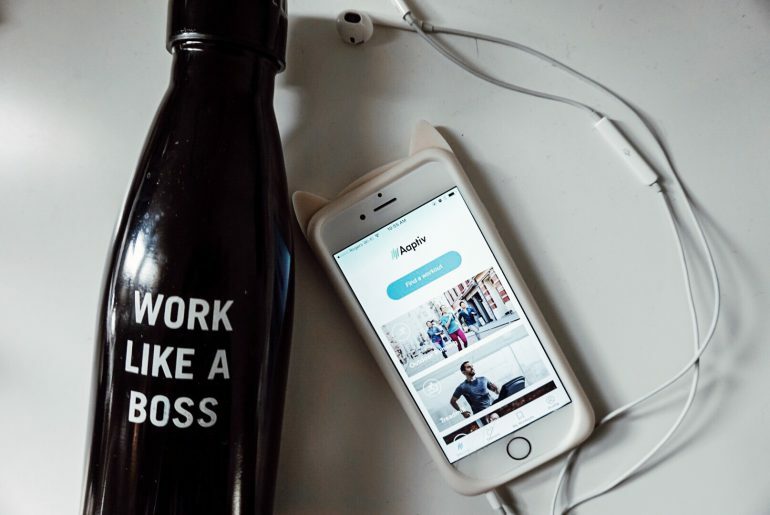 I tried Aaptiv a few weeks ago, and it’s perfect if you need a trainer to guide you through your workouts without spending a lot of money! 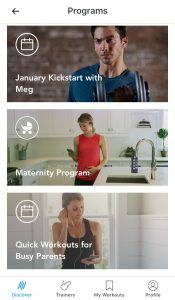 Aaptiv is an app for your phone that offers a variety of different workouts and has an entire maternity section! I tried out different routines on the app and I love the fact that the trainer is telling you what to do and the music is also included so you don’t have to worry about your playlist! You just have to listen and work out! For someone Iike me, who’s really visual, it can be sometimes confusing to just listen and not seeing the movement of the exercises. So if you’re really visual like me, I recommend doing their cardio routines! For each workout, a trainer is guiding you and telling you what to do exactly! The maternity workouts are specific for each trimester but also for each week, so you’ll be able to do exercises that will suit your different needs. Before you try out their routines, here are some things you need to know before you start running! First, running is totally safe if you already were a runner (and that you’re cleared from your doctor). If you’ve never run and wanted to start, you should wait after your pregnancy to start running. 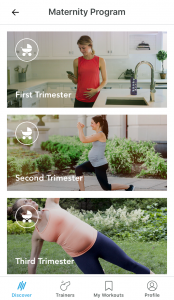 Meanwhile, you can do walking workouts during your pregnancy ! Second, if you were thinking to do a race, you should put that projet aside and wait till after your pregnancy! Some women suffer from discomfort while running; choosing appropriate gear (shoes & clothes), controlling your breathing and strengthening your glutes will help you with your discomfort. Last but not least, don’t forget to eat and stay hydrated! Once you’re cleared with your doctor, Aaptiv will help you out every week throughout your entire pregnancy! Here’s a sneak peek of how the app looks like! For more information, visit their blog! Hope this will be helpful for your new year’s resolution!